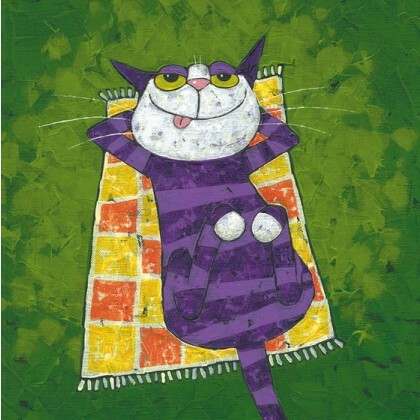 This is one of a great new range of humourous cat pictures from artist and illustrator Lee Nicholls. These bright, cheerful and amusing pictures guarantee you a smile each and every day ! This is a Limited Edition print of 95 copies, signed and numbered by the artist.